I-75/71 Corinth Exit #144, E on Hwy 330, Left onto Main Street, Property on L. or 1-75/71 Corinth Exit #144, E on Hwy 330, Left onto US 25, Left onto Prather Gap, Right onto Main Street, Property on Left. 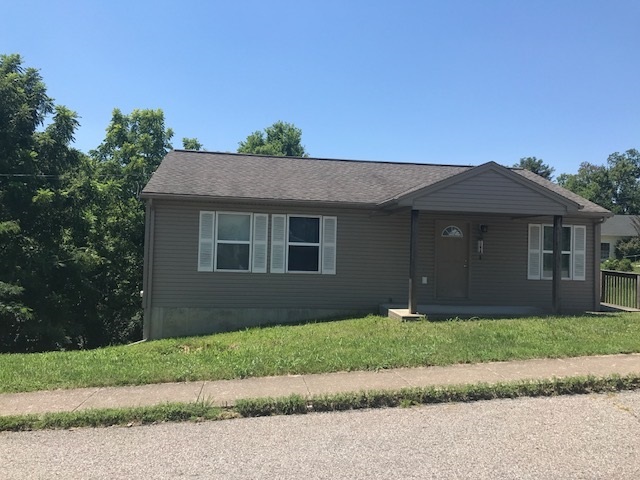 3BR/1BA Ranch style vinyl home that offers a full unfinished walkout basement and possible USDA financing.Deck on home provides view of the woods in the rear of the property that echos a nice backyard.Home sits back off US 25 to provide country feel w/ city benefits.Within mins to I-75. Deck provides additional entrance from side.Storage shed in rear.Located between Lexington & Cincy.